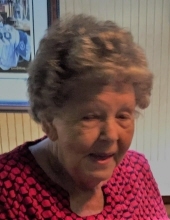 Mary Louise Stout, age 81, passed away Sunday, December 23, 2018 at the Compassionate Care Center in Richmond. She was born March 19, 1937 in Cincinnati, Ohio to the late Augustus and Bernice Combs Hurt. She was a beloved mother, grandmother, great grandmother, sister, and aunt. Mrs. Stout was retired from Dresser Industries. She attended the Scaffold Cane Baptist Church. Other than her parents she was preceded in death by, two brothers, Gene Fraley and Larry Hurt, and two sisters, June Carrier and Gladys Stamper. Mrs. Stout is survived by her children, Patricia Stout, Michael (Jaci) Stout, Debby Stout, Randy Stout, Allen Stout, and David Stivers. One brother, Gustie Hurt, Jr. and one sister, Linda (Dan) Miller, and a special niece, Vicki Castle. Eight grandchildren and six great grandchildren and a host of nieces and nephews also survive. Visitation will be 11-1 Friday, December 28th, 2018 at Davis & Powell Funeral Home with committal services to follow at 1:30 PM at Madison County Memorial Gardens. Randy Stout, Mike Stout, Allen Stout, David Stivers, Chris Stout, and Cody Stout will serve as pallbearers. To send flowers or a remembrance gift to the family of Mary Louise Stout, please visit our Tribute Store. "Email Address" would like to share the life celebration of Mary Louise Stout. Click on the "link" to go to share a favorite memory or leave a condolence message for the family.